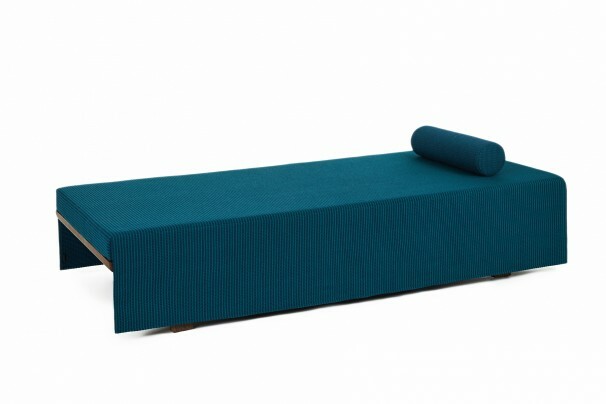 Hanfu daybed is inspired by the traditional Asian garment. These garments are known for the simplicity of their rectangular patterns and how these create a characteristic profile when worn. The Hanfu daybed introduces a surprising variation of the garment in to furniture. The bed has a distinctive silhouette referencing this historical style of garment by the way it has long sleeves either side of its structure.